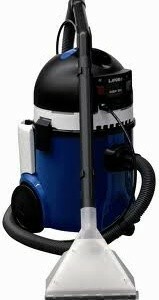 Wet and dry vacuum cleaner with injection/extraction washing function for carpet, vehicle seats, tents, chairs, mats etc. Silenced power motor (high speed) with by-pass cooling. Detergent pump (max 0,25 l/min 2 bar max). Unlimited autonomy – no-stop refilling. Voltage: 230 V- 50 Hz. 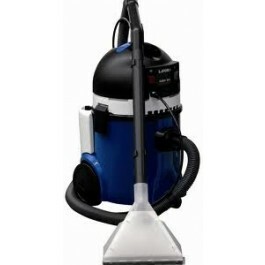 Air suction max: 70 l/s. Power: 1200 (max 1400W) W max.